The Garlic Festival is really proud to have supported and worked with some amazing charities over the years – we are constantly inspired by the incredible work you’re all doing to make our community a better place. See them around the Garlic Festival, all trying to raise much needed funds in all different kinds of ways! You’ll find the wonderful Wave Project Isle of Wight cooking and selling sweetcorn! The Sporting Bear Isle of Wight offering Dream Rides in some seriously cool cars! Then there’s the NET Patient Foundation, you can support them by buying a cuppa and cake! Wight Crystal and The Way Forward Programme by grabbing a bottle of water. We are also delighted to be bringing back for 2019 The Flying Seagull Project. They first joined us in 2015, and spread joy and laughter around the show with their amazing entertainment. We were blown away! Coming to our festival and entertaining us all weekend, we are helping in a small way for them to “Take smiles to those in need”. They work across the World to take laughter to refugees in desperate need of relief. It’s a wonderful project and we are delighted that they are back with us on the Island this year. A real must see for kids and adults! Check them out below and more importantly come and see them at the festival! The project on the Isle of Wight began with a pilot scheme in 2015. The success of the trial led to them securing NHS funding to expand the project to employ a coordinator. 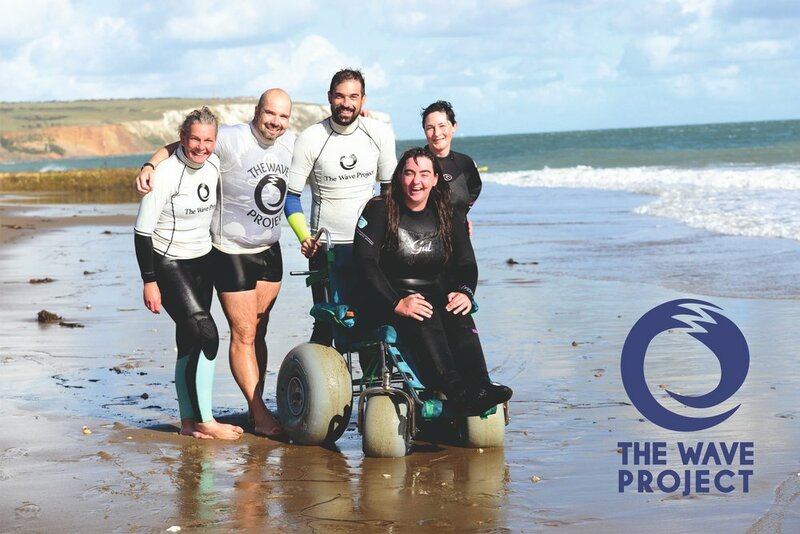 Since then, the project has grown to run our fully funded surf-therapy courses for 60 new Island children each year, and now has a busy and active surf-club. We first welcomed The Flying Seagulls in 2015 and we were blown away by their energy! We are absolutely delighted to have them back at the festival, and be able to contribute to their wonderful charity.. and entertain our visitors at the same time. A Garlic Festival team favourite, not to be missed! The Flying Seagulls believe that it is everyone, man, woman or child’s right to put aside the cares of life and smile for a while. 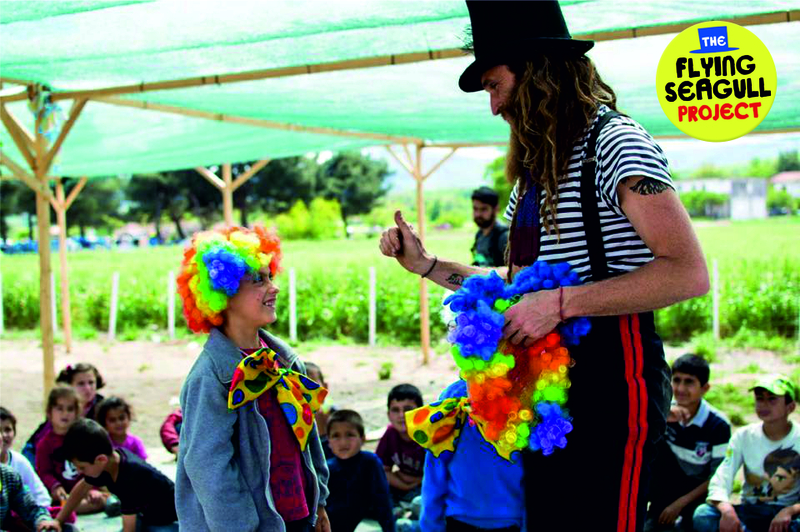 They work with widely varying groups in several countries to help bring smiles and happiness to people, whether as Clown Doctors for children undergoing difficult medical treatments or through arts, music and crafts workshops. The Way Forward Programme works with adults and young people from 12 years of age to retirement who have a learning or physical disability, people on the autistic spectrum and people suffering from mental health conditions. The Way Forward Programme provides services 7 days a week and every evening and help through gardening skills, better communication and teamwork to realise their potential and contribute to their community. Osel Enterprises was formed in 1988 to provide training and employment for people with disabilities living on the Island. Working closely with social services, families and carers, providers of services and other organisations to meet the needs of the island. Osel consists of four enterprises, Wight Crystal, The Way Forward Programme, Working Towards Wellbeing and Living Well. The "Bears", as they are affectionately known, are a dedicated group of classic car and sports car enthusiasts with the primary aim - to raise money for children's charities through our own social and touring events, and to support other charitable events. It is to the club's credit that annual subscriptions support the club overheads thus allowing all monies raised from Dream Rides and other events to be directed towards the selected children’s charities. You’ll find them parked up near our car park exit, ready to take you on a ‘Dream Ride’ in one of their amazing super cars! It was fantastic to attend the opening of the new soft play area at Beaulieu Respite Isle of Wight , it’s so rewarding to know that the Sporting Bears helped contribute towards this with our Dreams Rides at The Garlic Festival. — Clive Ford - Sporting Bears Isle of Wight.